Come in Today to Browse our Unique Eyewear! Frame Up Eyewear Inc provides exclusive and unique eyewear in Snyder & Buffalo, NY. The experienced artistic opticians will help you find the perfect pair of frames. Frame Up Eyewear Inc provides quality craftsmanship and personal service. We sell superior eyewear from brands like Davette, Sospiri, Bevel, Fusion, Theo, Zenka Modular Eyewear, and more! We help customers that live in Buffalo, NY and Amherst, NY with their eyewear needs. Our unique eyewear collection is extensive and available at affordable prices. If you are looking for stylish new frames, sunglasses, or high fashion eyeglasses, we have you covered. Visit our store today to choose from our wide selection of unique eyewear. 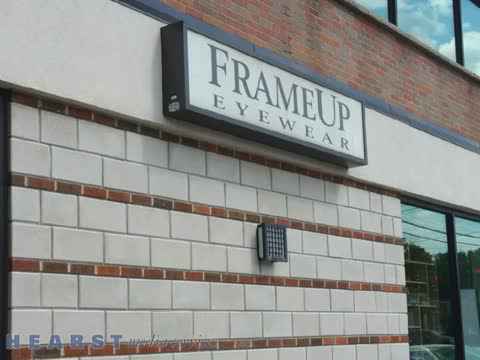 Frame Up Eyewear Inc is a full service optical store from examinations, personal one-on-one frame consultations to making your glasses in house. Call our full service optical today for European eyewear and much more! We proudly serve the Williamsville, Amherst and Buffalo, NY areas. We are a full service optical lab offering eye exams, quality eyewear, and more for residents in Williamsville, NY and the surrounding areas. If you are experiencing blurry vision or other issues with your eyesight, then you should make an appointment with us immediately. We can help figure out the best treatment for your condition. If you also are in need of prescription eyewear or sunglasses, we are the team to depend on. Frame Up Eyewear Inc is visionary about you and your family's eye health. 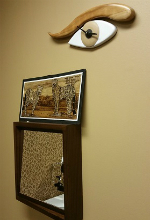 An annual eye examination by Optometrist Mark Gordon, O.D. not only ensures your vision is the best possible, but can also assist in the detection of underlying health problems that may be in the early stages of development. Early detection may prevent more serious conditions from causing long-term vision damage. Here in Buffalo, NY and Amherst, NY we help you take care of one of your greatest assets... Your vision. Frame Up Eyewear Inc offers a wide variety of European eyewear frames from simple to Avant Garde. We are a unique optical store as we carry exclusive European eyewear. 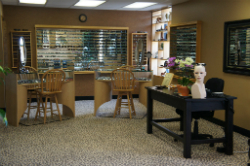 Our showroom is friendly and personal, and stocked with unique eyewear. We have artistic opticians that help you pick out the perfect frame. We carry frames made of hyper allergenic titanium, plastic and even wood. We have custom made sunglasses, unique eyewear and clips imported from Europe. All frames are warrantied and our prescription lenses are warrantied for a year and some two years. Frame Up Eyewear Inc has a large selection of contact lenses. Mark Gordon, O.D. will assist in fitting you with the most comfortable and effective contact lenses for your personal needs. Come visit our showroom at 4498 Main Street in Snyder for your personal one-on-one service. We are at the corner of Harlem and Main Street in Snyder, NY.